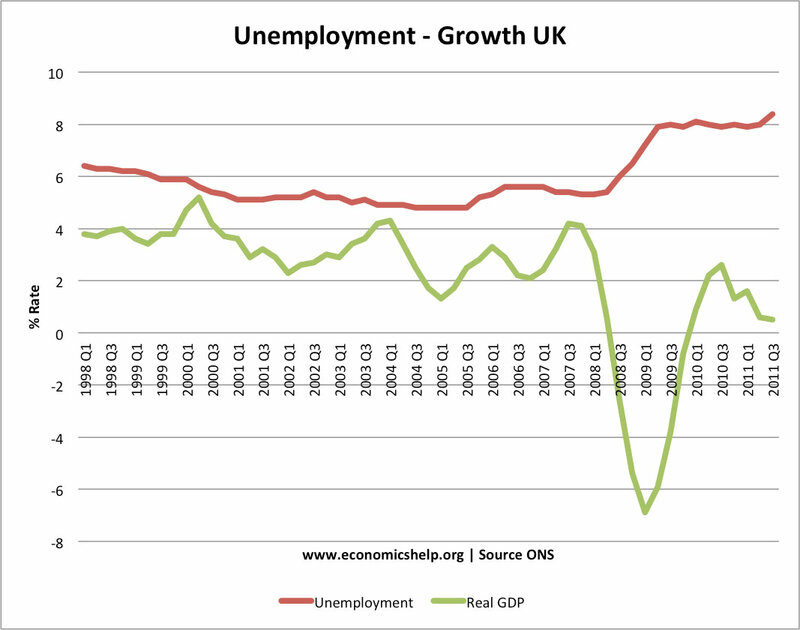 In fact, given state of economy, we might have expected a higher rate of unemployment. The growth in unemployment has been limited by factors such as a growth in part time worker and a decline in participation rates. The outlook for workers, especially young people entering the labour market is grim. 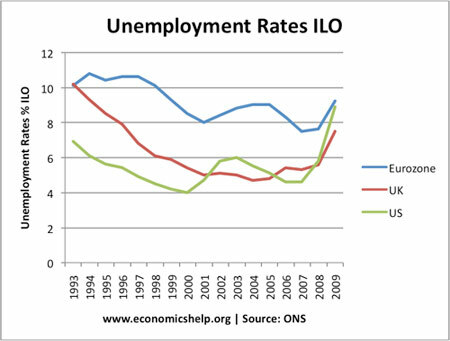 International Comparisons of Unemployment with EU and US. This shows that unemployment in the US has increased faster than in the Eurozone. This partly reflects the fact US labour markets are more flexible. Therefore, it is easier to fire workers in the US. But, in the Eurozone area, firms appear more reluctant to take workers on during periods of growth. 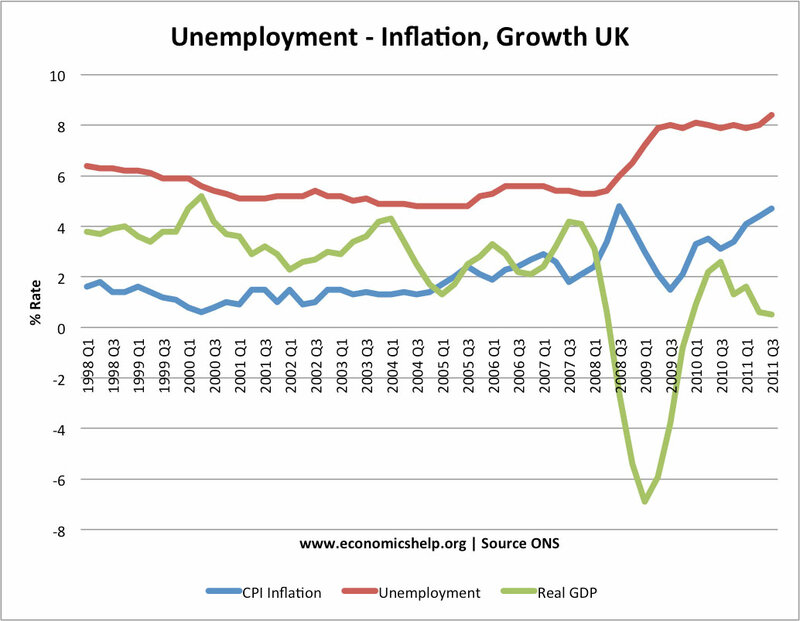 To what extent do unemployment figures reflect the reality? This entry was posted in unemployment. Bookmark the permalink.